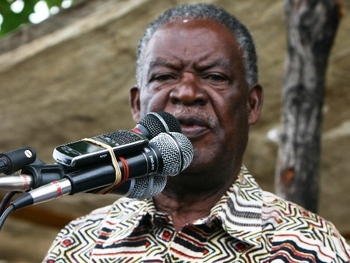 President Michael Sata has fired Secretary to the Cabinet Evans Chibiliti, the Watchdog has been informed. A source at cabinet office has told the Zambian Watchdog that Chibiliti’s letter of dismissal is dated 10th September 2012. Mr. Chibiliti’s dismissal has so not been announced. One of the three Deputy Secretaries to the Cabinet Dr. Rowland Msiska is Acting as Secretary to the Cabinet. The other deputies are Teddy Mulonga and Fredson Yamba who is the Secretary to the Treasury. A Secretary to the Treasury is on the same level with a Deputy Secretary to the Cabinet. Meanwhile another source has told the Watchdog that President Sata is expected to appoint Public Service Commission Chairperson Dr Kawanga Kamanga as the new Secretary to the Cabinet. Dr. Kawanga Kamanga is the elder brother to Works and Supply Permanent Secretary Major Francis Kamanga. The father to the Kamangas died about three weeks ago and Sata sent a message of condolences. Evans Chibiliti was appointed Secretary to the Cabinet just six months ago, on February 6, 2012.